So, the cat is out of the bag…… if that cat were an Earth like planet orbiting a star just four light years away: Proxima Centauri, the nearest star to Earth, has an Earth like planet (link here)! But that phrase ‘Earth-like’ can be a bit misleading: What, at this point, do we actually know? Let’s start with the star: Proxima Centauri is a red dwarf, just 4 light years from Earth. The existence of a planet orbiting it has been suspected for a long time, but because red dwarfs are badly behaved stars it has taken until now for the international Pale Red Dot team of astronomers to confirm its existence using the European Southern Observatory's instruments. The planet is at least 1.3 Earth masses. It orbits close to Proxima, and has an 11 (Earth) day long year. Because Proxima is a small dim star, that puts the planet in the right distance range for liquid water on its surface. I'll stop abusing this meme after today, I promise. It's just... look at his hair! What we don’t know is almost everything else – a Venus-like hell world, or an Io type volcanic planet, would look exactly the same to this detection method. 'At the right distance for water' isn't the same as 'has liquid water'. To add some more uncertainty, red dwarf stars are grumpy little buggers: They’re prone to massive flares, and Proxima b will be getting an unhealthy X-ray dose about 250 times bigger than Earth. So we need to find out more. How? Above: The process of a stellar transit. When the planet is in front of the star the star's light shining through the atmosphere can be used to determine the atmosphere's composition. 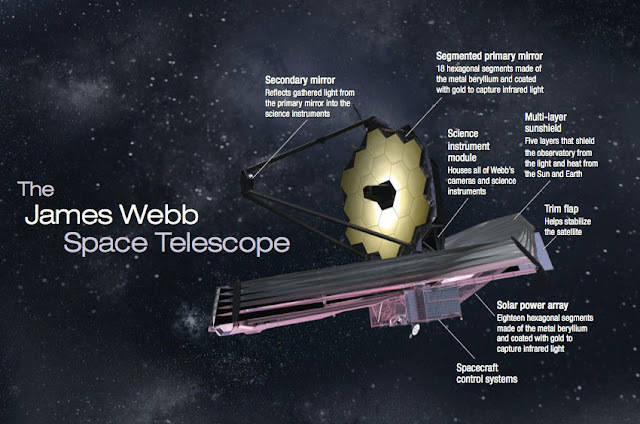 Above: The anatomy of the James Webb Space telescope, courtesy of NASA. James Webb Space Telescope will be NASA’s next big space telescope, and the European Extremely Large Telescope is a yet-to-be-built monster, with primary mirror forty meter across. Either one might – just – be able to pick out Proxima B as a single pixel. A single pixel isn’t much, but exo-planet hunters are already experts at picking useful data out of single pixel. Planets spin, so we could slowly build up an image of the planet – a crude one- by watching how the brightness and colour of that pixel changes as the planet turns. We could also get detail on atmospheric composition, presence of surface water, and whether or not there are any icecaps. Above: An artists impression of the 4 meter wide StarShot miniprobe design. Courtesy of the Breakthrough Foundation. Now… this one will won’t happen for a bunch of years. 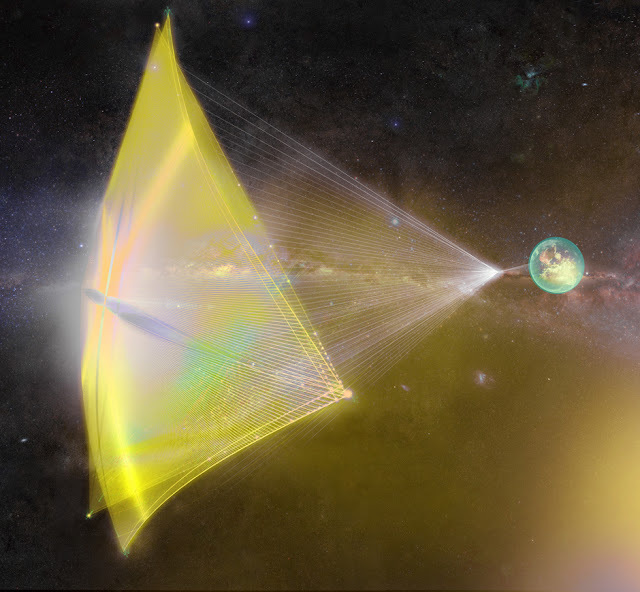 But… maybe fewer than we think: Earlier this year I was writing about a project called ‘Breakthrough Starshot’ – a $100,000,000 effort to start developing the technologies needed to send a (very) small spacecraft to another solar system. 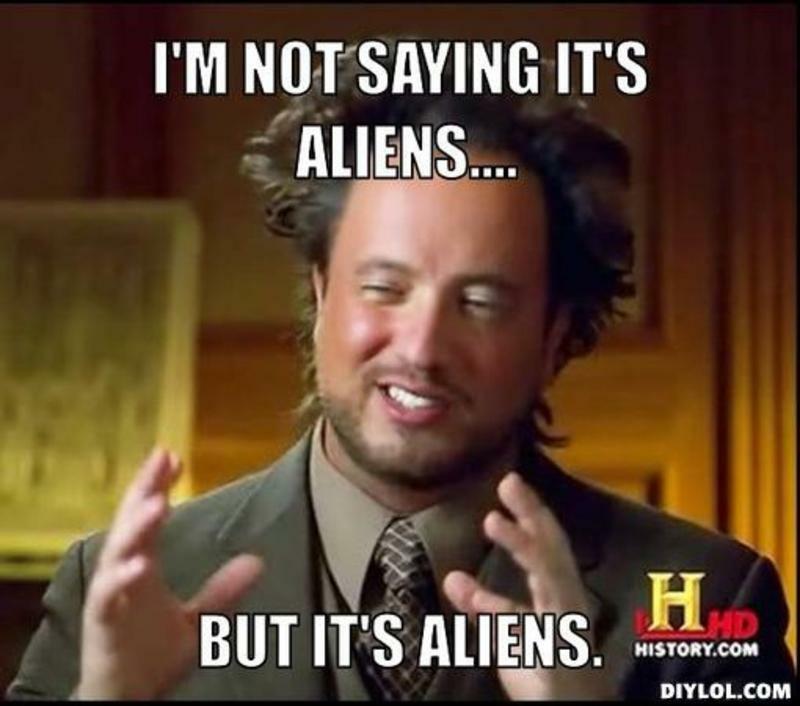 Despite what has been said about it, the project is not trying to actually launch a probe: The basic physics of their laser driven design is sound, but the engineering is rather more unknown. Starshot’s current incarnation is just meant to prove some of the concepts behind it…. and the discovery of possible target like Proxima b, within the range of a Starshot type probe, is a huge boost for the project. Even if its air isn’t too thick (like Venus) or too thin (like Mars) and there’s liquid water on the surface, Proxima b would be a strange world to human eyes: Proxima would be a dull orange orb three times larger than our Sun from Earth, but dimmer and cooler, delivering about two thirds as much heat to the surface as our Sun does to Earth. 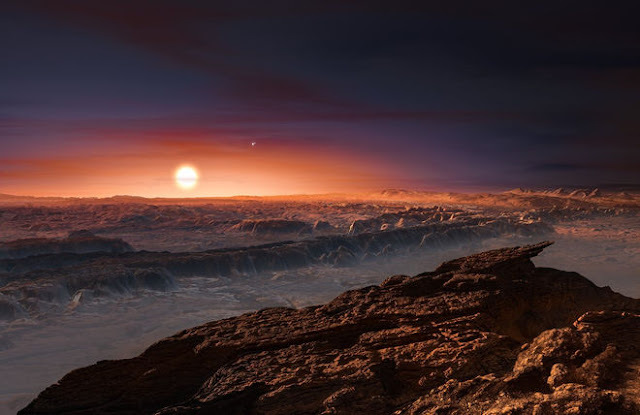 Above: An artist's impression of Proxima rising over Proxima b. Courtesy of Pale Red Dot. The planet is probably ‘tidally locked’: Presenting only one face to the light, so one side would probably be an giant ice cap, doomed to eternal night, and the other would be a desert. Only on a thin strip near the day/night boundary could a human comfortably stand - so this isn’t second Earth, no matter what the papers say. And it’s far too early to say much. But.